BOISE, Idaho — Today is National Grilled Cheese Day, celebrated every year in April. In honor of the national holiday, we met a Certified Cheese Professional to share her knowledge of cheese and what makes the "perfect" grilled cheese. 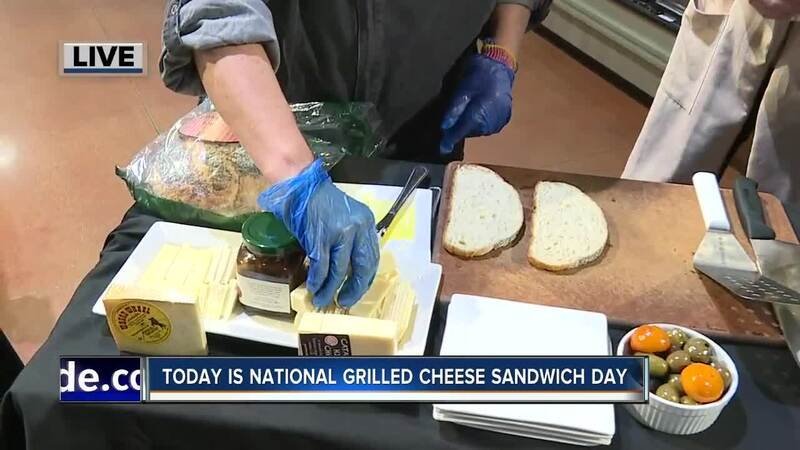 Certified Cheese Professional, Shelly Hartman at the Whole Foods in Downtown, shared her favorite grilled cheese pairing, as well as tips to make the best sandwich. She recommends using a sharper cheese mixed with a softer cheese. Today, it was Catamount Hills and Wagon Wheel with a roasted garlic onion jam on Golden Age Boule. Hartman adds the best way to ensure your sandwich is golden on the outside and gooey on the inside is by loading up your bread slices up with butter and cooking it on a panini grill low and slow. On April 16, Whole Foods Market Boise is leading an educational session and five-course dinner featuring specialty cheeses, as well as craft beer pairings for each course. The five-course dinner will be held in Whole Foods Market Boise’s Taproom from 6:30-8: 30 pm, with 24 seats available at $25. If you are interested in attending, please contact Taproom Supervisor, Ashley Nielson at 208-287-4600.